SAN FRANCISCO (KGO) -- A single stop helped improve the lives of hundreds of homeless people in San Francisco Wednesday. 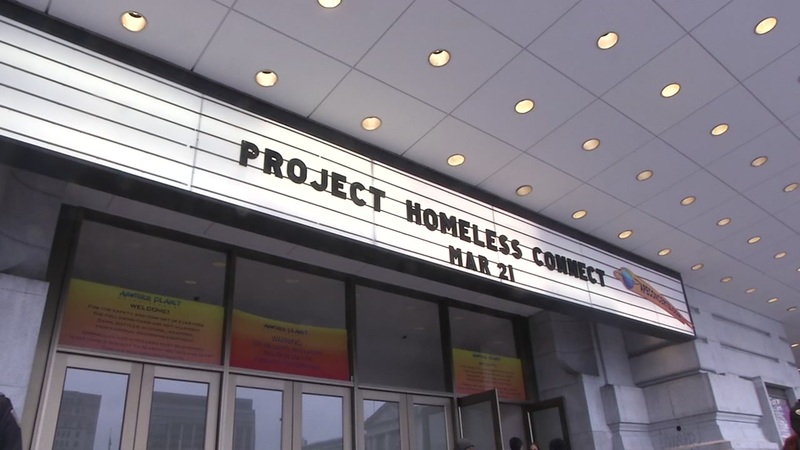 Project Homeless connect organized its 70th Community Day of Service at the Bill Graham Civic Auditorium. The project provides a hub where the homeless can get a broad range of services ranging to advice on housing to medical care. Some visitors were fitted with glasses, while others waited to have wheelchairs repaired. Organizers say the emphasis is on practical solutions to challenges the homeless face every day. "When you come through today you can receive a shower a haircut, reading glasses and upward to prescription glasses, dental care, dentures, the DMV is really popular to get identification, legal services. There's almost no service offered in the city that we don't have represented in some way on this event," Project Homeless Connect CEO Meghan Freebeck said. More than a hundred providers and some six-hundred volunteers came together to provide services for clients at the event. Click here for more stories on homelessness.